CallingChicago.com provides detailed information for making international long distance telephone calls to Chicago, Illinois, USA from any country in the world. United States phone numbers are highly standardized, so Chicago phone numbers follow the same format used throughout the US. 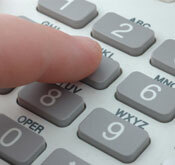 Mobile numbers and landline numbers have identical 10-digit formats. To make an international phone call to Chicago, IL, the following dialing codes will be required. Taking this general format, you need to plug in the outbound international access code for your originating country and the complete 10-digit phone number in Chicago. If you receive calls from unkown phone numbers, why not check them online at a phone directory? For a trusted reverse phone lookup service, you can visit RetroSleuth.com and simply enter the mystery phone number. In Chicago and throughout the United States, landline phones and mobile phones have identical phone number formats. Both types of phone numbers are 10-digits long, including a 3-digit area code and a 7-digit subscriber number. For dialing information on calling Chicago from specific countries, please follow the country links below. On these pages, you will find country-specific dialing codes, phone number formats, and step-by-step dialing instructions for calling Chicago, IL from your country. If your country is not listed, please follow the Chicago dialing procedure. To make an international call to Chicago, IL, USA, you first need to dial the international access code (aka 'IDD') for your originating country. You can lookup the international access code for your country in the widget below. Insert your IDD at the maroon x's below to create a complete international phone number for dialing Chicago.